After 9 short, but very enjoyable months working at Stourhead, I am moving on to a new role. My last day is today and I just wanted to say a big thank you to all of you for looking at our blog, and to those who have decided to become followers. 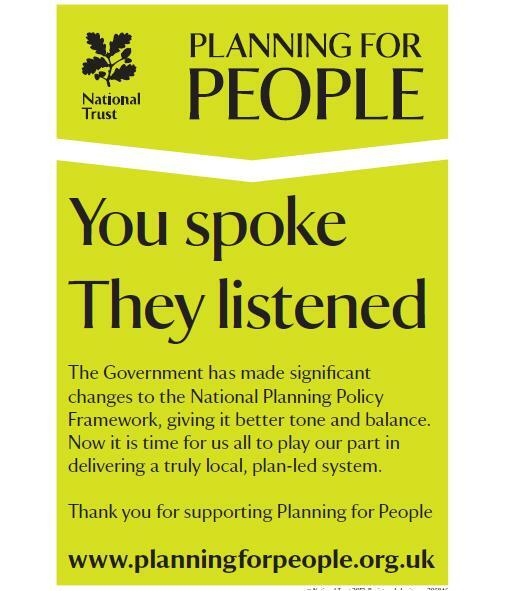 I’ve had a fantastic time and it’s been absolutely great sharing the property’s stories and news, and receiving your comments. While my position is being filled, there will be a lull in posts – however, do keep checking back as we will get up and running again, as soon as possible. Our Spread Eagle Courtyard was once home to 3 very plain, average rubbish bins…. However, they have now been replaced by 1 brand-new solar powered Big Belly compacting bin! It is very high-tech and eye-catching – one visitor even mistook it for a cash machine! In a couple of weeks we will have 3 more of these bins for recylcing – one for glass, one for plastic bottles and one for cans. We will also be installing a further 4 outside the restaurant, when the resurfacing work has been completed. Due to the unseasonally warm weather we had in March, our 2012 bluebell walk has moved – it is now this Sunday (22nd April) at 10.30am! The bluebells flowered earlier than expected this year and, to avoid disappointment, our Head Ranger made the decision to bring the walk forward by a couple of weeks. So if you’re interested in finding out more about these woodland wonders, then join us on Sunday for a guided tour through the estate. Tickets are £10 per adult and £5 per child. They can be booked via our box office on 0844 249 1895, or online via our events page. Walk Ten is back for 2012. 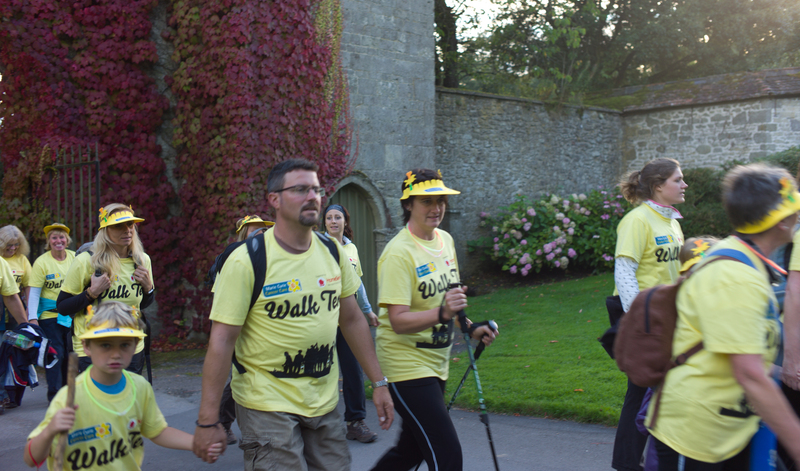 The 10K twilight walk in aid of Marie Curie Cancer Care will be taking place at Stourhead on Saturday 1st September. This is the third year that Stourhead will play host to Walk Ten and with brand new entertainment and a new route there will be something for everyone. After your walk you are invited to settle down by the lake with your home-made picnic and enjoy the evenings entertainment. All money raised from this event will go towards the Marie Curie Nursing service in your local community. Early Registration is recommended at the discounted price of £10 (under 16’s go free!) and dog are welcome to join in the twilight walk as well. Book early to avoid disappointment! How long since we last posted from the garden? 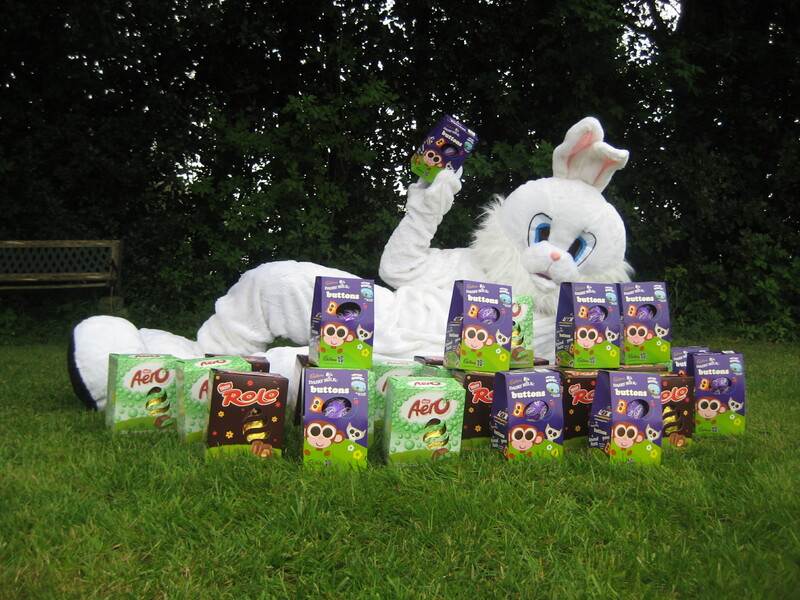 We had soooo much to do preparing for the Easter bank holiday! Any-hoo… We are in good spirits although the cold weather is now hard to adjust to after some scorching days. We’ve been pruning mop-head and lace-cap Hydrangeas, at the same time as weeding, mulching and mowing in the top garden. Certain areas of grassland has been mown including the village, drive, churchyard paths, and Pantheon bank. And the Walled garden of course where we’ve also been sowing seeds and planting out broad beans. Our volunteer handy-man Phil has installed new benches and we’ve done weeding en mass. Spring-time decorations have gone into the restaurant, shop, visitor reception and the temple of Flora – new for this year. We collected material from all over the garden and willow from the estate, which we ‘stole’ from an obliging bumblebee. Above the oak patch, far side of the lake, we’ve planted a group of large-leaved Rhododendrons and a swathe of foxgloves. Some young plants of the early introduced Rhododendron edgeworthii are too small to plant out so are in the pinetum nursery. As the Magnolias are flowering so well this year slate signs have been put out to help with their identification. Matt and George put out wooden plaques for a spring tree trail on Thursday to further aid curious minds who want to know more about our plant collection. A quick note to say that King Alfred’s Tower will be opening again this bank holiday weekend (12pm-4pm). The garden team and Brian have been working really hard both this morning and yesterday to get the tower safe and secure in time for Easter – so a huge thanks to them. Our assistant head gardener Penny will also be on BBC Wilts radio this morning, talking about the effect drought has had on Stourhead – so do tune in for that at around 11.30! 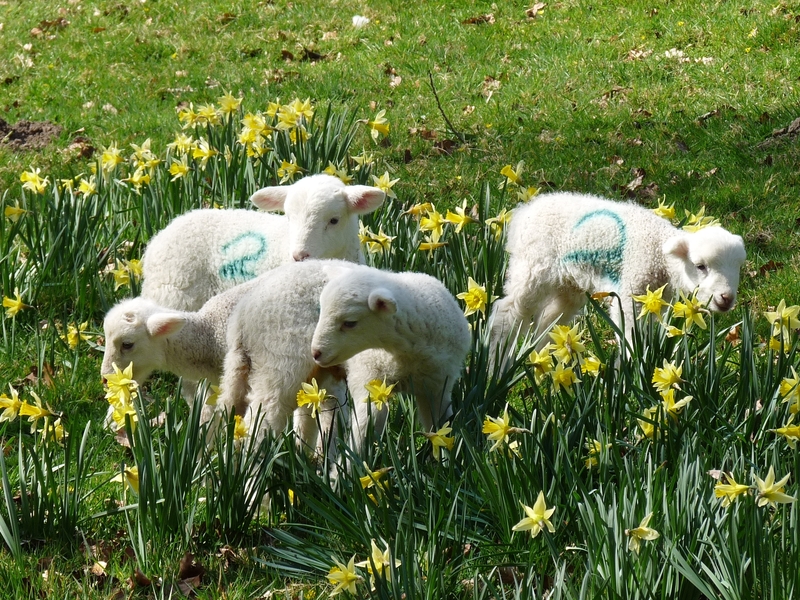 Our new additions to the Stourhead flock were photographed grazing amongst the daffodils last week – the perfect shot to share with you all as we head into the Easter weekend!